'Barracoon' Brings A Lost Slave Story To Light Both terrifying and wonderful, Barracoon is Zora Neale Hurston's long-unpublished account of her conversations with Cudjo Lewis, who was brought to America on the last trans-Atlantic slave ship. Slave narratives tend equally to fascinate and appall. They can represent history, red in tooth and claw, or, in the words of noted multiculturalist Lawrence W. Levine, "a mélange of accuracy and fantasy, of sensitivity and stereotype, of empathy and racism." First-hand accounts such as those by Frederick Douglass, Olaudah Equiano, or Solomon Northup come to us from rare enslaved individuals who were taught to write. But most of the extant material is one step removed, mediated by interviewers — including the Works Progress Administration, with over 2,300 entries housed in the Library of Congress, many of them available online. 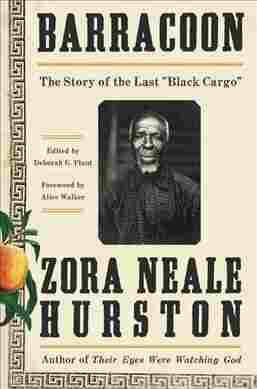 The eye-opening, terrifying and wonderful Barracoon: The Story of the Last "Black Cargo," a posthumous, previously unpublished nonfiction work by Zora Neale Hurston, demonstrates an intimacy and immediacy that some of those interview-based narratives lack. This early effort, completed before Hurston's fame peaked as an anthropologist and novelist, has the passion and freshness of a young person discovering her true métier. Barracoon — the word comes from the Spanish word for "barracks" — came about in 1927, when the then-unknown Hurston was assigned a task by famed anthropologist Franz Boas: interviewing an 86-year-old former slave living in the tiny town of Plateau, Ala. Oluale Kossula — also known by the slave name of Cudjo Lewis — had a remarkable past. Raised to the age of 19 in West Africa, he was captured and brought to the United States as a captive on Clotilda, the fabled last ship ever to ply the waters of the transatlantic slave trade. The year was 1860, and importing slaves to the U.S. had been illegal for over half a century. Nonetheless, Kossula got snatched. Enslaved for five and a half years, he used his freedom after the Civil War to help found a community, Africatown, with his fellow survivors from Clotilda. Hurston returned to interview Kossula numerous times over a series of months. "My people in Afficky you unnerstand me, dey not rich," he tells her. "Dass de truth, now. I not goin' tellee you my folks dey rich and come from high blood. Den when you go in de Afficky soil an' astee de people, dey say, 'Why Kossula over dere in Americky soil tellee folks he rich?' I tellee you lak it is. Now, dass right ain't it?" Hurston's use of vernacular might be a stumbling block for the modern reader, but it was the accepted professional approach of the day. John Lomax, director of the WPA project, instructed his interviewers: "I recommend that truth to idiom be paramount, and exact truth to pronunciation secondary." The reader who commits to that vernacular is richly rewarded for persistence. Kossula recounts his capture by Dahomey warriors, with female warriors playing a large role. Transported, below decks for weeks at a time, he and other men and women are naked, starved, terrified. A chilling passage concerns Kossula's new life in the U.S.: "In night time we cry, we say we born and raised to be free people and now we slave. We doan know why we bring 'way from our country to work lak dis. It strange to us." ... the story is at times devastating, but Hurston's success in bringing it to light is a marvel. Framing the material, Hurston's deepening relationship with Kossula helps lend the story additional power. She tells of winning over her interviewee with peaches, a ham, even a box of Bee Brand insect powder. She joins him in dusting and sweeping his church. As freighted as the moment might be to modern ears, I thoroughly enjoyed Hurston writing so joyfully about greasing the wheels of conversation with the gift of a watermelon, "right off the ice." She says as an aside, "Watermelon, like too many other gorgeous things in life, is much too fleeting." Sometimes a watermelon is just a watermelon. Short enough to be read in a single sitting, this book is one of those gorgeous, much too fleeting things. An introduction by literary critic Deborah Plant gives welcome context for Hurston's journey of discovery, while an appendix showcases additional folk tales from Kossula's African past. Brimming with observational detail from a man whose life spanned continents and eras, the story is at times devastating, but Hurston's success in bringing it to light is a marvel.